Hey there, is anyone running a cutter with patterns drafted on seamly2d? Who does it work? Are you using hpgl-files? Is another program required? This is a stupid question, but do you mean cutter to cut fabric directly or to cut patters out of paper? You can download the .svg file and convert it into whatever format you like. You should be able to use the software that came with the cutter to convert it, otherwise Blender is a free option on the internet for most vector types. I mean a cutting/plotting machine to cut the fabric directly. You can use the scroll bar to scroll through the different types, perhaps one will suit the software for your cutter. Thanks Grace, this is very helpfull! By the way, it looks like you are the right person to ask! At the moment auto-layout function takes soooo long, like, hours long. Once with a particularly complicated pattern I woke up in the morning and the layout was still not done. Is it just how Seamly works at the moment or is something wrong with my computer maybe? ummmm… is this creating the Layout in Layout mode in Seamly2D? Or is the setting up your cutter? If it’s in Seamly, no-no-no. I’ve created layouts with 20+ bits and pieces and it’s almost instant. If it’s with your cutter, I’ve never used one, so I really wouldn’t know. Someone else will have to advise you here. I’m talking about layout in Seamly, yes. My computer was really slow and I blamed everything on it, but this issue did not improve at all after upgrade. Are you running on Windows 10? My PC is a bit fast, I have 64bit - I think Core i5 with about 8gb RAM, but my laptop is a 32bit with only 2gb RAM (very basic and a bit very old) and neither run overnight on anything. I think, start off by checking how much harddrive you have available. Most computers run best if there’s at least 20% space free. Next, check what background programs are running that are using up the RAM. On Windows, you’ll see this by running the TaskManager. If you see anything strange running there, you may have to run a complete virus scan, perhaps run Malwarebytes, SpyBot and/or something else to check for any nasties. Great! But I’d still investigate further, because even when mine is off it doesn’t take long at all. And the norm is 180 degrees. Do you have a cutter (laser, vinyl, other CNC)? 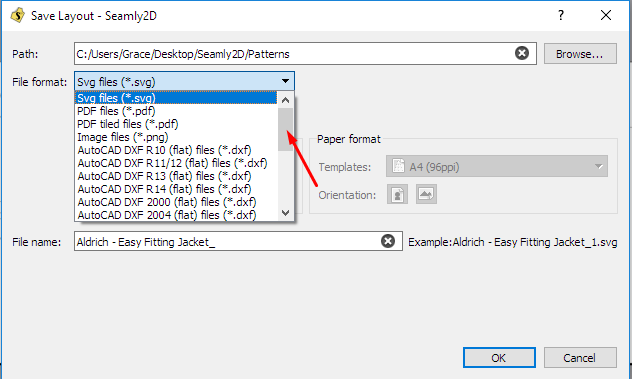 If the control software that came with your cutter doesn’t allow import of PDF, SVG or DXF but only accepts gcode files then Shapeoko has instructions here to generate gcode files using Inkscape. 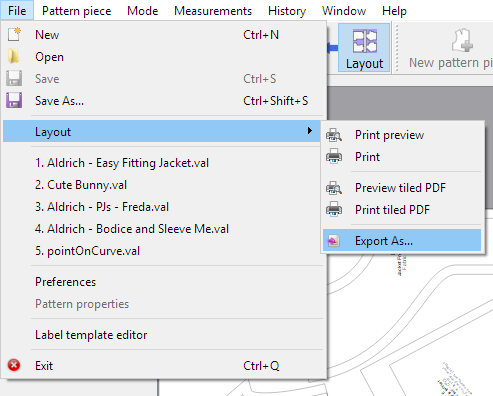 Import the gcode file into your cutter controller software, make software option adjustments to match the material you’re cutting, then “print” to the cutter.